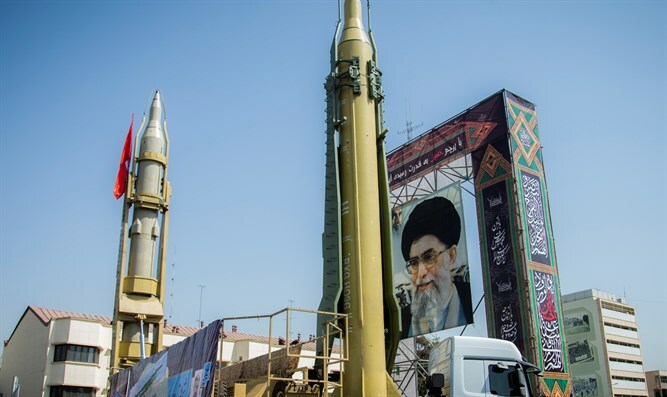 Iran building up military assets on Israel's northern border, preparing to directly engage Israel, strike inside Israeli territory. Tehran is preparing for a sustained campaign of direct confrontation with Israel, with plans to use the Iranian military’s growing presence in Syria to launch attacks on targets inside the Jewish state. For decades, the radical Islamist regime in Tehran has engaged in a de facto war with Israel via proxies – using terror groups in the Gaza Strip and Lebanon to attack Israeli civilian and military targets. On Tuesday, however, Israeli security officials revealed that Iran is now preparing for a direct assault on Israel, using its growing military assets on Israel’s northern border to strike targets inside the Jewish state. According to a report by Channel 10 citing Israel’s security establishment, Iranian forces in Syria, led by the Quds Force of the Revolutionary Guards under the command of Major General Qasem Soleimani, have deepened their involvement in Syria in recent years, as Tehran has worked to secure the Assad regime from insurgent rebel forces and radical Sunni terror groups including ISIS. The expanded Iranian presence in Syria has opened the door for Tehran to adopt an increasingly aggressive stance vis-à-vis Israel, attempting direct attacks on Israeli targets by the Iranian military itself, rather than through proxy groups – something the Revolutionary Guards avoided in the past. Last Friday, IDF spokesman Brigadier General Ronen Manelis reported that the Iranian drone operated from T-4 which had violated Israeli airspace in February had been armed, and was en route to carry out an attack on Israeli forces, and was not merely on an information-gathering mission. One senior Israeli security official told The New York Times that attempted attack was unprecedented, and represented a shift in Iranian policy. According to Tuesday’s report by Channel 10, Iran’s build up in Syria in preparation for a direct conflict with the Jewish state has included the deployment of advanced airborne weapons platforms – including drone aircraft – shipments of weapons disguised as humanitarian aid, and Iranian military flights conducted under the cover of civilian airline companies. On Monday, Naim Qassem, deputy chief of the Hezbollah terrorist group – an ally and proxy of Tehran – warned that Iran would respond to an air strike on the T-4 airbase in Syria which was attributed to Israel and in which seven Iranian personnel were killed. "The elimination of the Iranians by Israel at the airbase will be met with a response,” Qassem told Al-Mayadeen TV.